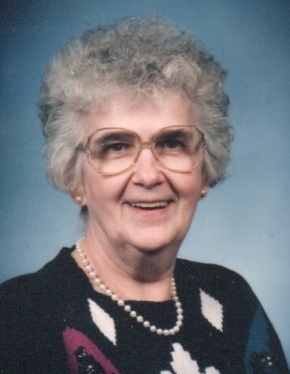 Caroline R. Keth, 89, of Summerville, died Saturday, March 23, 2019 at the McKinley Health Center in Brookville, PA.
Born November 1, 1929, she was the daughter of the late Harry W. and Bertha J. (Mohney) Shields. Mrs. Keth graduated from Brookville High School. She worked as an Aging Case Aide for the Jefferson County Area Agency on Aging until her retirement in 1994. She also worked as the Boro Secretary for Summerville for over 20 years. Mrs. Keth was a member of the First Presbyterian Church in Summerville. She was a member of the Rebekah's, Summerville Volunteer Fire Company, and Summerville Seniors. She enjoyed crosswords, knitting, and crocheting. Mrs. Keth is survived by four sons, Robert Keth and his fiance, Anna Armstrong, of Brookville, Gary Keth and his wife, Laura, of Brookville, Scott Keth and his wife, Melissa, of Strattanville, and Thomas Keth and his wife, Elizabeth, of Brookville; one daughter, Rose Smith and her husband, Randon, of Summerville; eight grandchildren; three step-grandchildren; seven great-grandchildren; and three step-great-grandchildren. In addition to her parents, she is preceded in death by her husband, Robert L. Keth, whom she married on October 16, 1948 in Summerville. Also preceding her in death is a son, Randy Keth; two brothers, Wilbur and Glenn Shields; and three sisters, Marguerite Rhinehart, Velma Anderson, and Mary Thompson. A visitation will be held on Wednesday, March 27, 2019 from 2-4 PM and 6-8 PM at the Furlong Funeral Home, corner of Broad St. and First Ave., Summerville, PA.
An additional viewing will be held on Thursday, March 28, 2019 from 10-11 AM at the funeral home. A funeral service will directly follow at 11 AM at the funeral home with Steve Shields officiating. Interment will be in the Vandervort Cemetery, Clover Twp., Jefferson County. The family suggests memorial donations be made to the First Presbyterian Church in Summerville or the Summerville Volunteer Fire Company. Family and friends may send online condolences, light a memorial candle, order flowers, and obtain additional information at www.furlongfuneralhome.com.